Our December market is shaping up to be a great one, with lots of stalls, a raffle with some brilliant prizes and some seasonal entertainment. We’re also teaming up with Centro, who are organising a ‘Festive Walk’ in conjunction with the Ramblers. It will set off from the market at 5pm and return about an hour later, taking in the sights of the River Rea and Hazelwell Park. That leaves plenty of time afterwards for Christmas Shopping, and for that well earned slice of cake, babka, home-made curry, or whatever else takes your fancy! It will be dark so it’s advisable for you to bring a torch or lantern if you have one, and have a word with the Ramblers anytime from the start of the market at 4pm to let them know if you intend to take part. 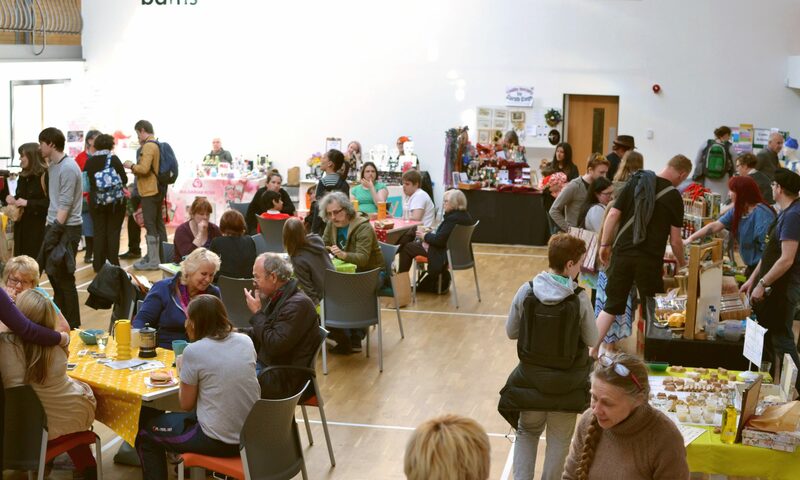 The Ramblers/Centro stall will be there for the duration of the market as well, with information about their different events and schemes happening in the local area, so do pop along and say hello. To view the flyer/poster to the left in a larger scale, please click on it for a PDF version. Previous PostPrevious Vouchers, deals and announcements for tomorrow’s Market! Next PostNext Christmas Market Today!